On An Overgrown Path: Do the arts need wide or deep audiences? Do the arts need wide or deep audiences? The latest UK radio audience figures provide food for thought far beyond the British Isles. At a superficial level the trend for BBC Radio 3 seems to be good news for classical music. 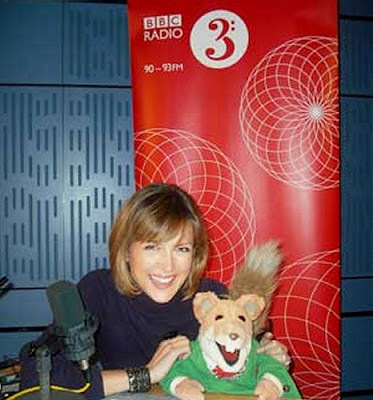 Using the headline measure of total number of listeners, which measures the width of the audience, BBC Radio 3 has increased its listeners from Q4 2008 to Q4 2010 by 11.9%. But this increase, which prompted the BBC press office to spin a typically disingenuous "Radio 3 continues strong performance" story, masks a more important underlying trend. Over the same period, which is when many of the popularising measures were introduced at the station, the average hours per listener declined by 14.1%. The average hours per listener figure is a measure of the depth of the audience and is a significant indicator of audience engagement and loyalty. The answer to the question does classical music need wide or deep audiences? is, of course, it needs both. What matters is the total mass of the audience which is calculated as [width x depth], or in the case of a radio audience [audience size x average hours per listener]. When this calculation is made the total mass of the Radio 3 audience has declined over a two period by 3.9%, which is an interesting definition of a "strong performance". A memorable lesson in the importance of the balance between the width and depth of an audience is provided by the financial services market. A few years back mortgage lenders famously chased width of audience, represented by number of home loans, at the expense of depth, represented by quality of the loans, with the result that the market imploded. There is more food for thought when the audience data comparison is extended to commercial station Classic FM. Many of the popularising measures, see photo above, at BBC Radio 3 result from a strategy of trying to take audience from Classic FM; in fact some former Classic FM presenters have been recruited for this very purpose. But over the same two year period (Q4 2008-10) Classic FM achieved a hat trick by increasing its audience width, depth and most importantly total mass, the latter measure up 1% compared with a 3.9% decline for BBC Radio 3. Personally I am not a fan of Classic FM. But I have to admire the way they manage their audience franchise. Not only do they have a very large audience, but their 7.2 hours per listener for the latest quarter compares with 5.5 for Radio 3. If we look at total audience mass, Classic FM's 41.0m listener hours for the quarter compares with 12.2m for BBC Radio 3. Or putting it another way, if Radio 3 not only reversed its current decline in audience mass but also achieved the totally impossible by doubling it, the station's total listener hours would still only be slightly more than half that of its commercial rival. Which raises the question of what on earth is Radio 3 trying to achieve by attacking Classic FM instead of gap spotting? The folly of Radio 3's current strategy is self-evident and needs no further discussion. But hopefully this post may draw attention to important and wider points. Audience width, aka bums on seats, is now the international currency of the arts. Nowhere is this more evident than in the BBC press release quoted above which makes not one single mention of the depth of the audience as measured by hours per listener, despite this being an integral part of the RAJAR data. Audience depth (hours per listener for radio or return visits for concert goers) is a vitally important measure which is in danger of being forgotten in the rush to achieve top level volume targets to satisfy PR departments and funders. In the final analysis it is audience mass [width x depth] that matters. But the BBC and many others seem to be overlooking a crucial point: it is almost certainly more cost efficient to increase audience mass by boosting depth (hours per listener or return visits to concerts) through improving the quality of the experience, than by hiking the number of people exposed to it. Finally Radio 3's futile and self-harming battle with Classic FM provides an important lesson to any arts organisations tempted to abandon its core competencies in order to chase market share. As Genghis Khan said "Never fight a battle you can't win". * All RAJAR data quoted is available online. There is an excellent explanation of the RAJAR methodolgy here.